First impressions are lasting, and this applies as much to your driveway as anything else. When people walk or drive by your house, your driveway is usually the first thing they notice. What impression does yours leave? A cracked, aged or uneven driveway can also have an impact on your vehicle. Sharp edges can puncture your tires and also create a walking hazard. Whether it’s simply resurfacing or a new driveway you need, Mitchell Paving Company can resurface your driveway, resulting in an exterior that complements your beautiful home. With over 35 years’ experience, you can be sure you’ll get the best quality job done at the most competitive rates. And imagine how you’ll feel coming home to a new, smooth driveway. Severe weather can have drastic effects on your parking lot. This winter was no exception. 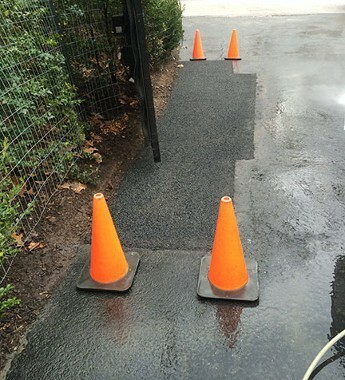 Now that spring is finally here, take this opportunity to make the necessary asphalt repairs your parking lot may need. 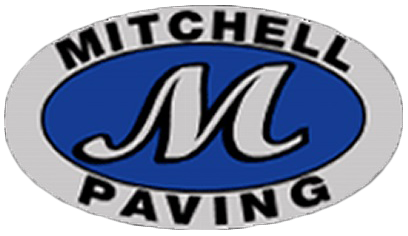 Mitchell Paving Company has over 35 years of experience, so you can be sure you’ll get the best quality job done at the most competitive rates. 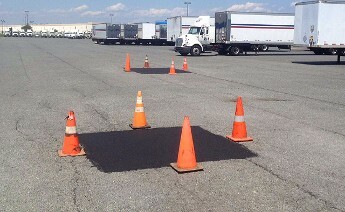 Harsh weather can destroy your parking lot, leaving cracks, making it uneven, and even have sinkholes. This can have a drastic impact on your customer’s vehicle, as sharp edges can puncture tires and also create a walking hazard. 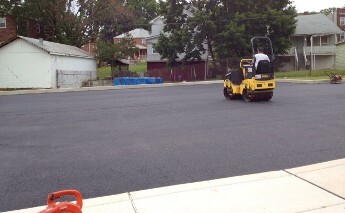 Whether it’s simply resurfacing or a new parking lot you need, Mitchell Paving Company can resurface your parking lot, resulting in an exterior that compliments your business. With over 35 years’ experience, you can be sure you’ll get the best quality job done at the most competitive rates.